This year has been quite eventful! For me personally, the craziness in weather patterns began with a tornado that touched down in April just 30 minutes from my home in the beautiful Blue Ridge Mountains of Virginia. In June, Jess and I went to the American Southwest and were surrounded by wildfires raging everywhere. Albuquerque and Santa Fe had been blasted for days with smoke from the fires in Arizona. 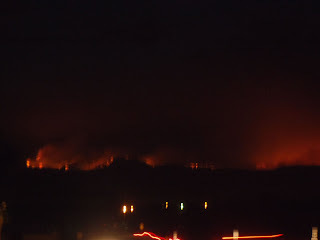 Then the fires started in New Mexico. 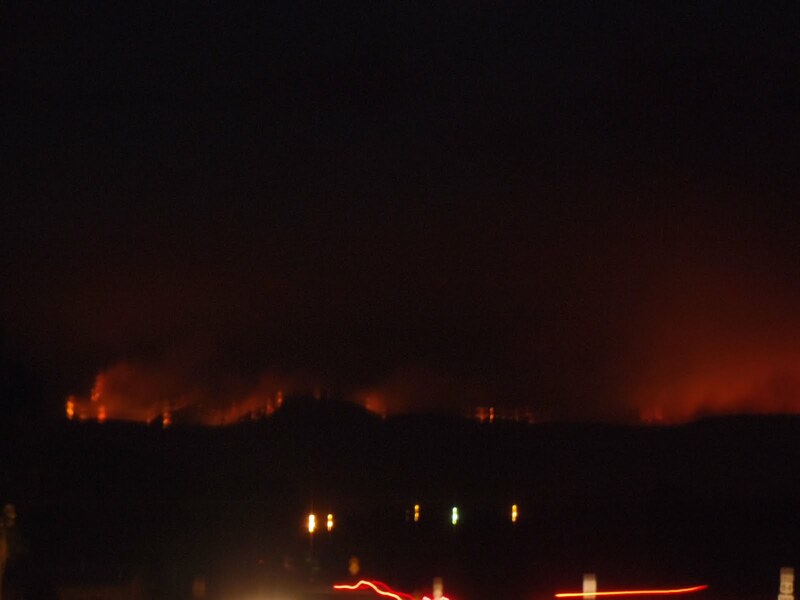 The entire top of the Jemez Mountains is on fire in this picture I took from Espanola, NM one evening. I was just a couple of miles away from one of the fires as it was just getting started. I was shopping at the Tesuque Flea Market just north of Santa Fe one day. If you have never been there, I highly recommend it. You can purchase everything at the flea market from art to African drums, from southwest turquoise jewelry to oriental rugs, from clothing from Peru to Indian fry bread. 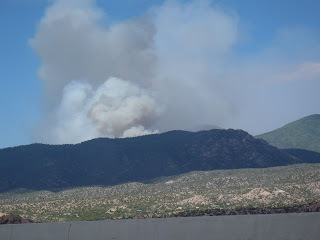 When I drove up the ramp afterwards to head back to Santa Fe, I saw this blaze (above) that had just started within the hour. More recently there was an earthquake near Richmond, VA that made my desk chair and office jostle. If felt like I was back on the yacht in the South Pacific and it had just been hit by a big wave. And as I'm sure you are aware, there was the hurricane that has done a great deal of damage to the homes and beaches up and down the east coast. We were not actually within the path of that hurricane. But so many of my dear friends and relatives were. So what the heck is really happening? For those of the Christian persuasion, the events of late seem to be pointing to the whole idea of Armageddon as described in the last book of the Bible. New Age or Metaphysical types might say that 2012 is just around the corner and we are coming to the end of a giant cycle of time. Scientists will tell you that throughout the history of the earth there have been numerous cycles of ice ages followed by more temperate weather patterns. What we are experiencing is apparently pretty "normal" in that respect as the earth heads into another ice age some time in the future. Conspiracy theorists will say that the U.S. government is "messing with" weather patterns using the HAARP array and other means. Whatever you believe, one thing is for certain: things are changing. The energies inside and outside the earth are getting wilder, and you better hang on for the ride. You can fight it and live a bitter frightened existence. Or you can learn to flow with it, taking each day as it comes, being grateful for what you have and not allowing the inevitable changes to ruin your day, or your life. 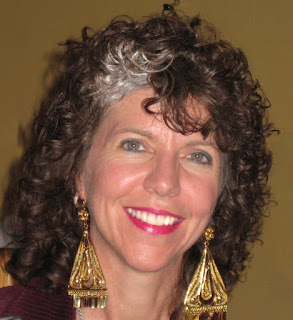 How you navigate in life will make or break your happiness, health, and sense of fulfillment. For those people who have a rigid picture of what today and tomorrow are supposed to look like, you are highly likely to be disappointed ~ in people, in God, in yourself and your life. Things change. And these days, they are changing fast. As I've said for a long time, surfing is required. Jump on up on the surfboard and learn to ride the waves of change. Because if you stay down in the turbulant seas, you are potentially going to drown. Raise your consciousness, raise your vibration, raise your eyes up to discover the endless possibilities around you. 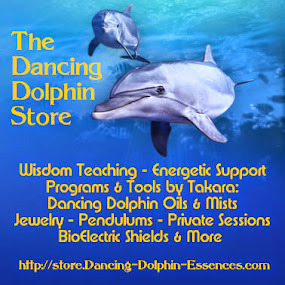 As I "tuned in" to find out which Dancing Dolphin Energy would most benefit everyone going through these tremendous changes, the answer was "Release." Release assists you in letting go of the things that no longer serve you, like limiting beliefs. 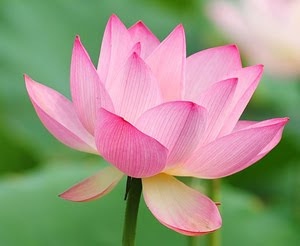 It also helps you "let go" of your need for people and situations to be a certain way. 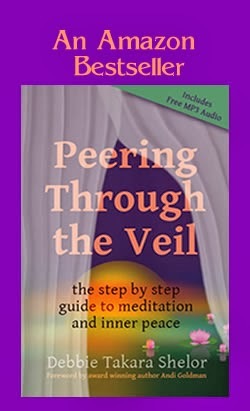 That can greatly assist you in just allowing each moment to present itself and responding with greater ease.